Gator 10 is a John Deere TrailGator. 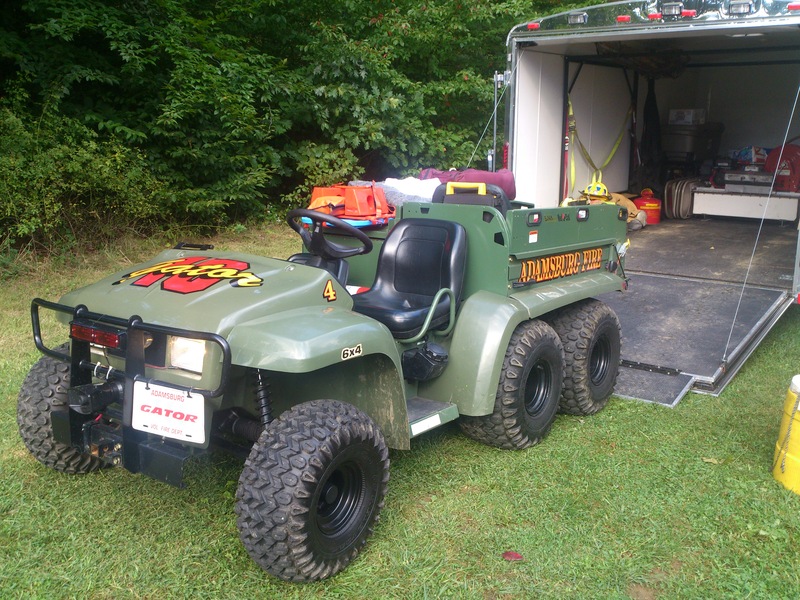 This ATV is used by the ACVFD to rescue people from rough terrain and to fight brush fires in remote areas. The ATV features an 800lb payload, 2000lb winch, a Firefighting Skid unit, and a Medical Transport bed. 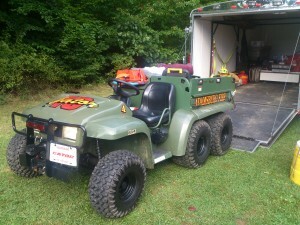 The Trailgator rides in our Large trailer along with various cribbing and brush firefighting equipment.